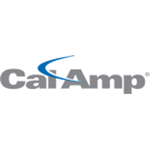 CalAmp is a leading navigation equipment and solutions developer in the areas of M2M and MRM. The company history includes more than 30 years of successful operation. Since then the company developed to have 8 branches worldwide, apart from headquarters in California. CalAmp may be noted for a broad range of Wialon-integrated GPS-equipment. Thus, Wialon users can always find a device, meeting the most demanding requirements. The chart below shows the changes within the last 30 days in the number units of CalAmp devices type are connected to Wialon Data Center.